One of a kind interior art collectibles create a unique and unmatched atmosphere for the home. 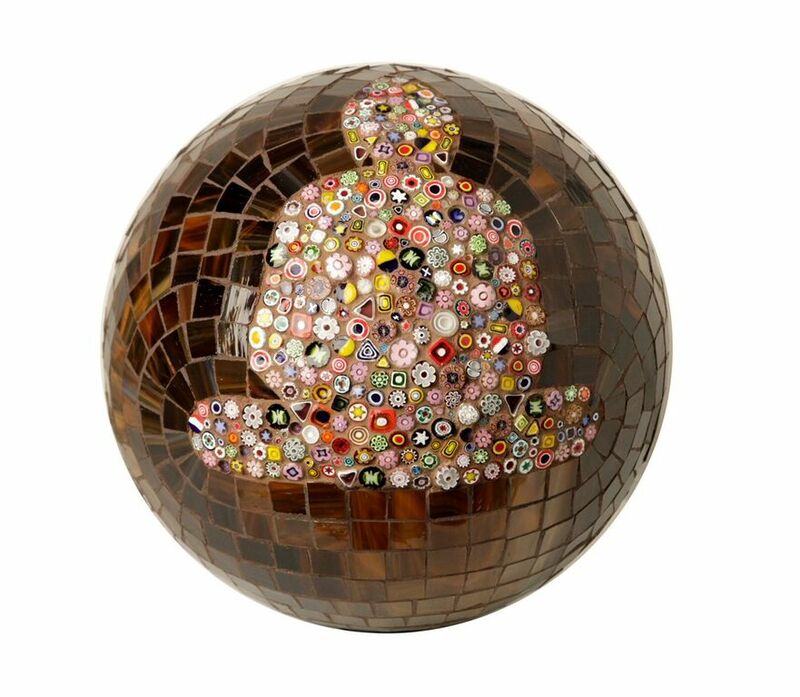 Using a combination of ancient and cutting-edge techniques, Valerie uses vintage and esoteric materials including mosaic tiles, stained glass, ceramics, and even discarded toys to create original works that provoke conversation and engage the senses. Valerie Carmet’s skilled designers can also create a wide range of stunning pieces for all indoor and outdoor spaces. With a degree in International Policy, French born Valerie Carmet also studied mosaics in a number of Italian studios and for 3 years at the Anandamali Studio in New York City. Valerie eventually taught the art of mosaics to a downtown clientele while honing her own expertise in both mosaics and mixed media to create large-scale commissions and furniture. Her clients have included Pfizer, NYU Hospital, Ritz Carlton, numerous restaurants and nightclubs, as well as a global group of individual clients and collectors. She created and installed large murals for The Rockefeller Building (“Top of the Rock”) and The Manhattan Youth-Downtown Community Center, who described her work as “an expression of light, joy and good feelings.” Describing her approach, Valerie says she is visually stimulated by “beauty, colors, and aesthetics”. A creative designer with meticulous technique and a vivid imagination combined with a playful and personal approach, Valerie has created a one-of-a-kind resource for both the private and corporate client and the collector.